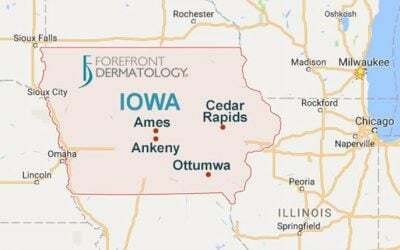 We are excited to announce the opening of our Forefront Dermatology location in Greenwood, Indiana. 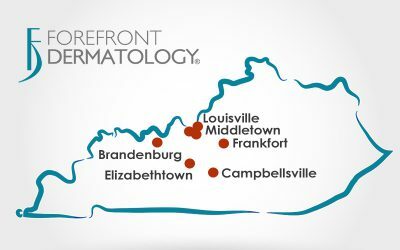 Starting February 13th, 2015, people in the Greenwood area will have access to the latest in dermatology with the compassion and excellent care Forefront Dermatology is known for at: 8325 South Emerson Ave, Suite C-1 Indianapolis, IN 46237 Click here to request an appointment in Greenwood, IN or at one of our many locations throughout Indiana, Iowa, Kentucky, Michigan and Wisconsin. We are thrilled to have Dr. Crawford and Dr. Cortese provide complete dermatology services, including: • Mohs Micrographic Skin Cancer Surgery • Thorough skin cancer screenings, diagnosis and treatment • Care for chronic skin problems, like psoriasis and eczema • Solutions for acne, rashes and other skin conditions Dr. Crawford is a board-certified dermatologist and ASMS Trained Mohs Surgeon. “I am a native of Indiana and have lived here most of my life. After I graduating from Xavier University, joined the United States Air Force. 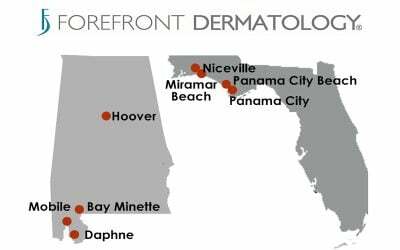 During my service in the military, I attended medical school at Indiana University, completed a Family Practice Internship at Eglin Air Force Base, and finished my dermatology residency at Emory University in Atlanta. While at Emory University, I was blessed to have been trained by some of the most renowned dermatologists and cosmetic surgeons in the entire country. 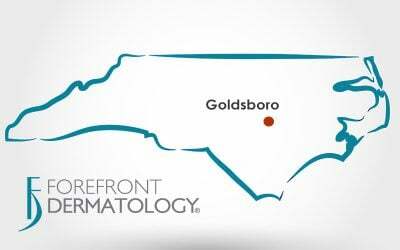 Additionally, while serving in the dermatology clinic for two years at Andrews Air Force Base, I trained in Mohs Surgery and advanced facial reconstruction.” Dr. Cortese is an experienced dermatologist and one of the 750 physicians drafted during the Vietnam War. “I believe that physicians must carefully listen to each patient before a diagnosis is made and treatment is started. My duty to each patient is to search for the root of the skin problem, whether it is from an internal or external cause. 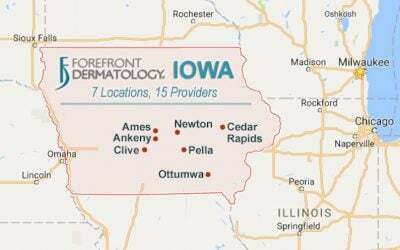 It is incumbent upon every physician to develop the competency to promptly, effectively, and efficiently diagnose and treat the problems of skin at the least cost and trouble to each patient. I owe this philosophy to my father, who said, ‘Always treat your patient the way you would want to be treated.’” Did you like this post? Please leave a comment below. Join our online communities on Facebook, Twitter, Google+ and LinkedIn.